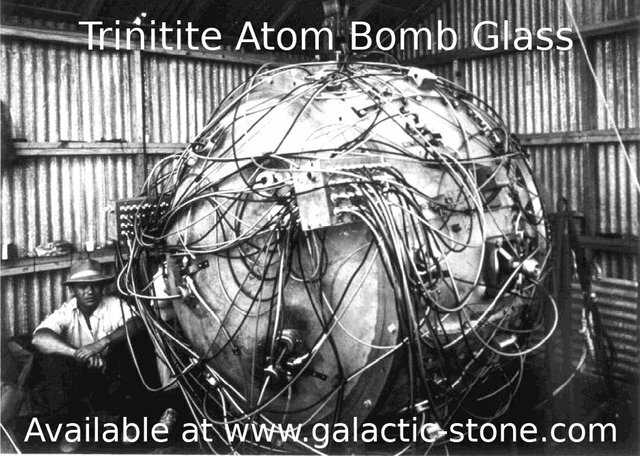 I have genuine specimens of trinitite (atom bomb glass) available for collectors and scientists. My samples have been tested by three scientists and two universities. These are safe and legal to own. A piece of human history from the day mankind shattered the atom - the Trinity Test of the world's first atomic bomb during the Manhattan Project. Image credit : Wikimedia Commons, labeled for reuse.